Before we get started with our reviews of the best cameras for YouTube, we'll take a quick look at the history of making online videos. 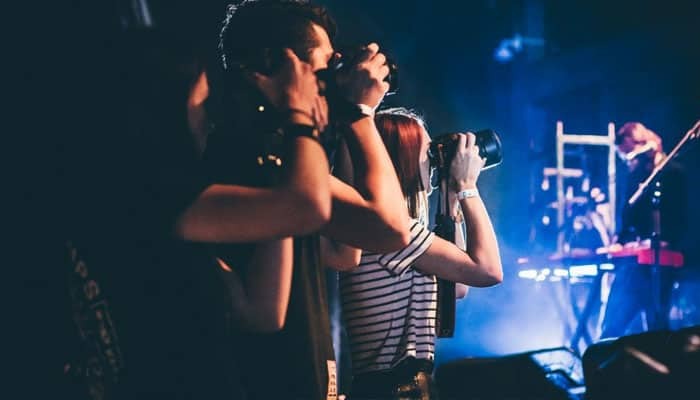 There was a time when capturing video was the something only found in the realm of professionals, but this has changed dramatically in recent years. Now anyone can pick up a camera and start recording. Thanks to the ever-changing world of technology, you don't need to be a professional to record video.The cameras that we have in the modern world are equipped with everything you need to record a video. 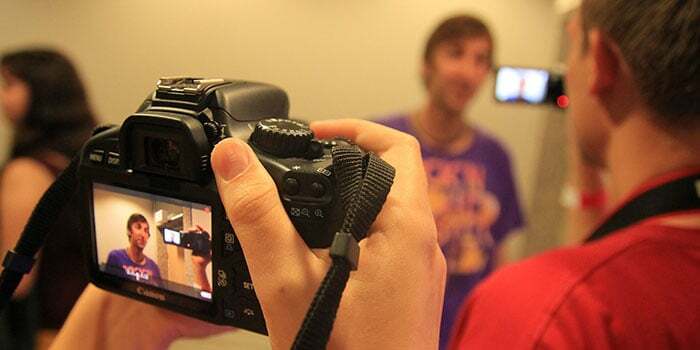 Now, if you want to make a video and upload it to YouTube, you can just pick up a camera and start recording. The best thing about these cameras is the excellent video quality. What are the Best Cameras for Making YouTube Videos? What Should I Look For in a Camera? Where Should I Place My Camera? Are YouTube Cameras Easy to Use? How Do I Choose a Camera? When you have so many options available at your disposal, picking the right camera for your needs can become confusing. To get the best results, do your homework on the best cameras for YouTube before you start buying. If you're short on time, never fear. We've identified the best cameras for YouTube in the list below, and you can use our guide to help you figure out what will work best for you as you're deciding on your purchase. This camera comes equipped with a high definition wide angle lens so you get more life out of your videos. Also comes in with 2x Professional Telephoto Lens for recording the tiniest details. Has built-in Wi-Fi so you can easily share recordings with connected devices. Comes equipped with two Canon L-series lenses so you get everything that you want to record without much movement. It is a 22.3-megapixel camera that is capable of taking detailed pictures. Complete HD with 1080p so that you get top quality videos every time. Has fast operation along with enhanced image quality thanks to its Canon HS System technology. Ultra-slim, pocket-sized and lightweight which comes equipped with a built-in touch panel. Capable of capturing stunning videos since it comes in with 1080p for full HD video recording. Whether you want extremely good photos or are looking to make the best video recordings, look no further than the Canon EOS Rebel T6 Digital SLR Camera for YouTube. This camera is excellent when it comes to making videos for YouTube and has the added bonus of being able to take professional quality pictures with it. Since most YouTubers can't afford a professional videographer, having a high-quality camera like this will help you make pro-level videos at any level. + This camera comes equipped with a high definition wide angle lens so you get more life out of your videos. + Also comes in with 2x Professional Telephoto Lens for recording the tiniest details. + Has built-in Wi-Fi so you can easily share recordings with connected devices. Why We Liked It - The Canon EOS Rebel T6 Digital SLR Camera for YouTube is a pretty amazing camera for both taking pictures and video recording. You may not be surprised to see that most of the cameras on our list are from Canon. Canon is one of the industry leaders and is renowned for manufacturing cameras for both professionals and amateurs. It has a long history of producing state of the art cameras. 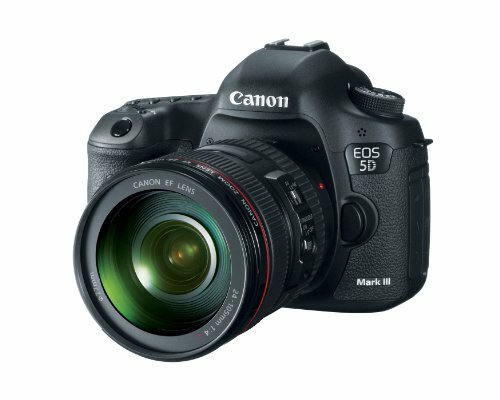 The Canon EOS 5D Mark III 22.3 MP 1080p Full-HD SLR YouTube Camera is another great camera by Canon which has all the qualities that you need for taking pictures and making top quality videos. 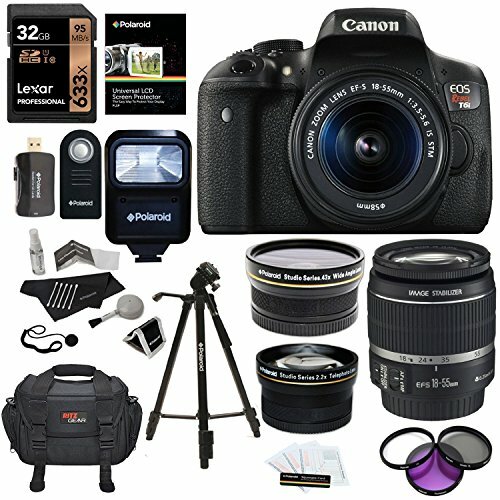 It is one of the best cameras for making top quality YouTube videos. + Comes equipped with two Canon L-series lenses so you get everything that you want to record without much movement. + It is a 22.3-megapixel camera that is capable of taking detailed pictures. + Complete HD with 1080p so that you get top quality videos every time. Why We Liked It - All in all, this is a complete gem of a camera, both for great quality videos and pictures. 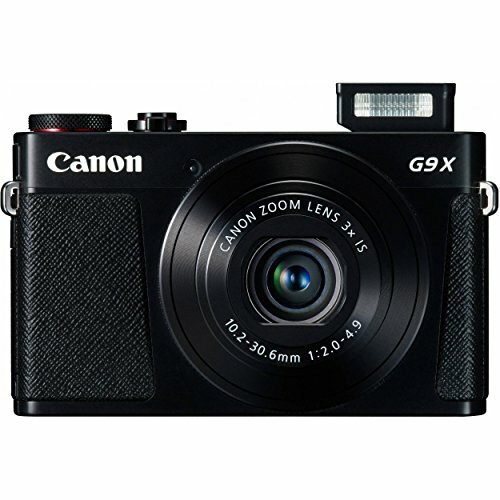 The Canon PowerShot G9 X Digital Camera is another impressive product by Canon which is not only exceptional in its functionality and what it is supposed to do but also has a slim, sleek design so you can easily take it wherever you are going. + Has fast operation along with enhanced image quality thanks to its Canon HS System technology. + Ultra-slim, pocket-sized and lightweight which comes equipped with a built-in touch panel. + Capable of capturing stunning videos since it comes in with 1080p for full HD video recording. 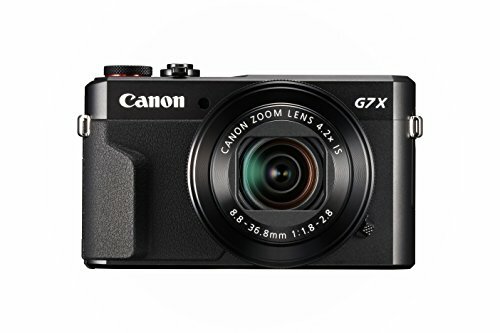 Why We Liked It - The Canon PowerShot G9 X Digital Camera is surely one of the best cameras available out there which is not only good for taking photos and recording videos but with its sleek design, gives you the freedom of taking it with you anywhere you go. GoPro is a brand that is well-known for its high-quality video recording cameras. GoPro's only downside was that it lacked touch technology in its products. Now, they have completely gone to the next level of ease and comfort for the consumer by giving them the option of a touch display. 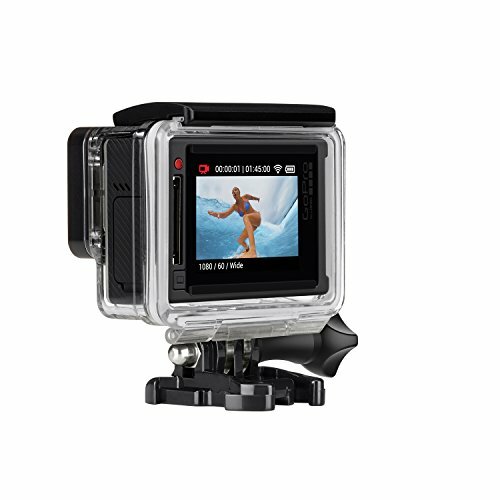 The GoPro HERO4 Silver for Cheap YouTube Filming is the first camera by GoPro that comes equipped with a built-in touch display, so that you can do more with it within a very short period of time. + Easy camera control, playback, and shot-framing thanks to the built-in touch display. + You can record professional quality videos with it since it has 1080p60 and 720p. + Has built-in Wi-Fi and Bluetooth support for easy and hassle-free sharing. Why We Liked It - The GoPro HERO4 Silver for Cheap YouTube Filming is surely one of the best choices for you if you're looking for a YouTube camera at an affordable. 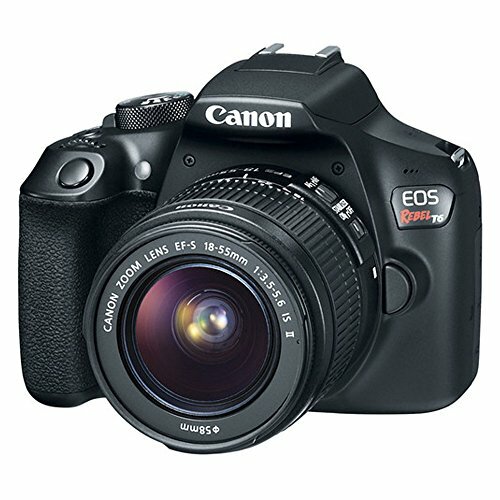 The Canon EOS Rebel T6 DSLR Camera is another great Canon camera for recording videos and taking snapshots. It is equipped with all the things that you'd expect from any top-notch camera, especially one made by one of the best brands in the business. + If you are looking for a high-speed camera with good quality and detail, this camera has a DIGIC 4+ image processor along with an 18 CMOS sensor. + It comes equipped with built-in Wi-Fi and NFC technology so you can easily share videos and pictures. + Includes an EF-S 18-55mm f/3.5-5.6 IS II Lens and an EF 75-300mm f/4-5.6 III Lens with a number of filter options. Why We Liked It - Despite the additional specs that come with the Canon EOS Rebel T6 DSLR Camera, this camera is easy to use and will provide you with flawless videos. Canon again! The Canon PowerShot G7 X Mark II is another great camera that has all the goods in addition to a compact, smart design. Its compact design means that this camera is highly portable and you can take it along with you on vacations, family trips or wherever your YouTube channel takes you. + Looking to take great quality video in low light? This camera will have you covered thanks to its 1 inch CMOS sensor of 20.1 Megapixel and DIGIC 7 processor. + It is capable of capturing ultra-HD videos since it has 1080p and stereo sound. Why We Liked It - This camera surpasses its rivals with video recordings for YouTube. 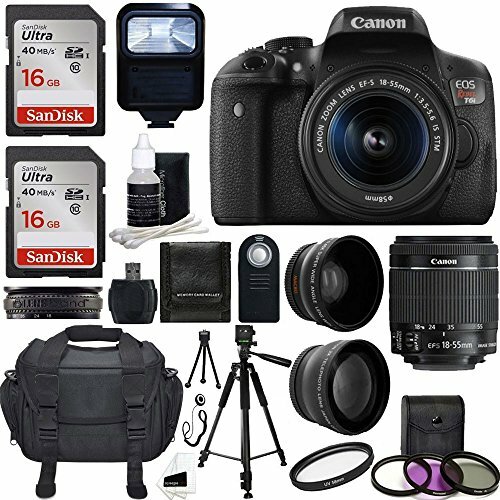 The Canon EOS Rebel T6i Digital SLR is one of the best cameras that is equally good at taking photos and capturing top quality professional videos. This camera is equipped with state of the art technology to not only give you the best quality but also make life a lot easier when it comes to filming in various conditions and situations. + Comes equipped with a 24.2 Megapixel CMOS (APS-C) sensor which gives you amazing quality. + The movie mode offers professional HD MP4 videos. + Equipped with a 19-point all cross-type AF system; no need to adjust the focus or the lighting manually as the camera does it automatically. Why We Liked It - This camera is able to handle top quality movie making and is easy to use, with a hassle-free interface. The Canon EOS Rebel T6i Digital SLR is another fantastic product from Canon. The Ritz Camera Canon EOS Rebel T6i 24.2 MP SLR Camera is brilliant all around, whether you're taking pictures or making videos. This is one of the most popular cameras on the market today which is preferred by both professionals and enthusiasts all over the world. + Has a 24.2 Megapixel CMOS (APS-C) sensor so that you can get natural-looking, crisp, detailed photographs. + Advanced AF to provide you with precise, speedy focus when you're filming video. + This camera also comes equipped with built-in Wi-Fi and an NFC so that you can easily share your photos and videos. Why We Liked It - The Ritz Camera Canon EOS Rebel T6i 24.2 MP SLR Camera has all the excellent qualities you would expect from a Canon product. The Canon EOS Rebel T6i DSLR CMOS Digital SLR Camera is one of the best cameras for both taking snapshots and making stunning videos. This SLR camera has fantastic specs and plenty of features which will ensure that everything you shoot with it will be of the best quality. It's easy to use regardless of light conditions etc. + Has a DIGIC 6 image processor and a 24.2-megapixel CMOS sensor so that you can get lively, detailed photos. + Equipped with a Hybrid CMOS AF III for amazing video quality. + Has built-in Wi-Fi and an NFC for easy file sharing. Why We Liked It - The Canon EOS Rebel T6i DSLR CMOS Digital SLR Camera is a high-quality, easy to use SLR that will provide you with fantastic photos and video footage. Another state of the art camera by another top quality brand. Panasonic is widely known across the globe for manufacturing some very best electronic products around. 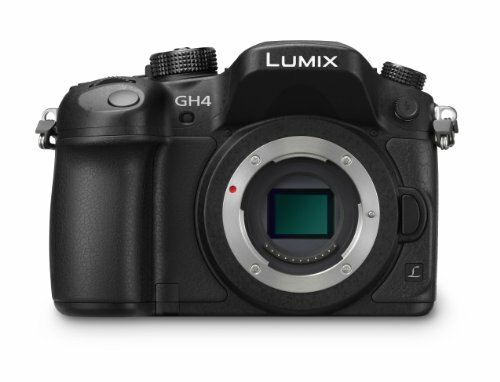 The Panasonic LUMIX DMC-GH4KBODY DSLM Mirrorless 4K Cinematic Camera has a lot to offer the budding YouTuber and photographer. 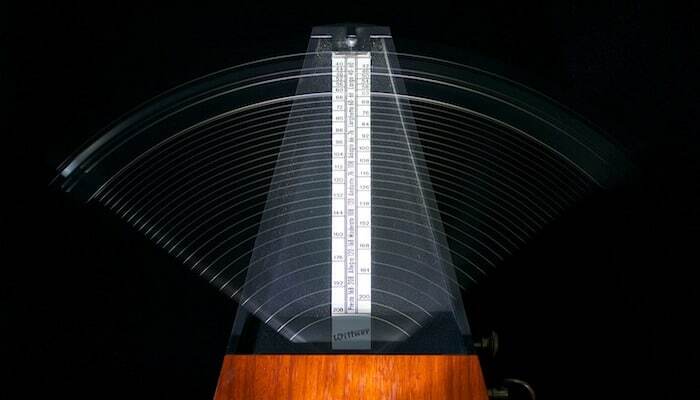 The quality standards are as top notch as most of the other products by Panasonic. With its unique features and specs, this camera is definitely among the best you'll come across. + One of the most prominent features that you get with this camera is that while making a video, you can simultaneously take photos because of the unlimited 4K video option. + Has 49 area auto focusing i.e. high speed. + Arguably the best camera for professional use because of the magnesium alloy body which is quite durable and has exceptional shutter life. Why We Liked It - The Panasonic LUMIX DMC-GH4KBODY DSLM Mirrorless 4K Cinematic Camera is fantastic in terms of the quality of photos and videos it shoots, its durability, and build. The trends of the world are changing rapidly thanks to the advances in technology which happen every day. From the very first day that YouTube came into existence, its popularity and user base grew exponentially. When you want to upload videos on YouTube with the intention of reaching out to the world you have to be very precise about video quality. This is why the camera that you choose for making your YouTube videos is so important. There is some key consideration to be always kept in mind when shopping around for a camera to film your YouTube videos with. We've outlined them below. This factor is highly dependent upon the type of videos that you are looking to make. Here we will consider two examples to give you a better understanding of how to choose the correct size for your needs. If you're someone who is looking to make videos that involve a lot of motion such as sports or adventure videos, you'll need a camera that is lightweight and small. With a sleek and compact design, handling the camera becomes easier and you'll avoid the neck pains associated with lugging around a bulky piece of equipment. If you want to record more videos indoors which don't require a lot of movement, a larger camera won't be an issue for you. The size to go for depends entirely on the types of videos you plan on making. This is one factor that you can't overlook in any camera. The picture quality needs to capture all the details and you'll want clean, sharp images to impress your viewers. This is one way to get viewers to watch your videos again and again. Most cameras that you will find on the market these days are equipped with HD video recording but it is always advisable to double check it by testing it out first. This factor is primarily important for when you're recording yourself. Just consider a situation where you spend hours recording and when you finish, you find out instead of recording yourself, you've recorded the floor. An LCD screen will to actually monitor what you are recording and prevent this from ever happening to you. First, decide a budget that you are willing to spend on your new camera before you head out to buy one. You can find a good camera for under $500 to record casual videos. This is a better option if you're just starting out; you can always upgrade as your camera skills improve. If you keep all these considerations in mind when buying your camera for making YouTube videos, odds are you'll wind up with the best one for your needs. 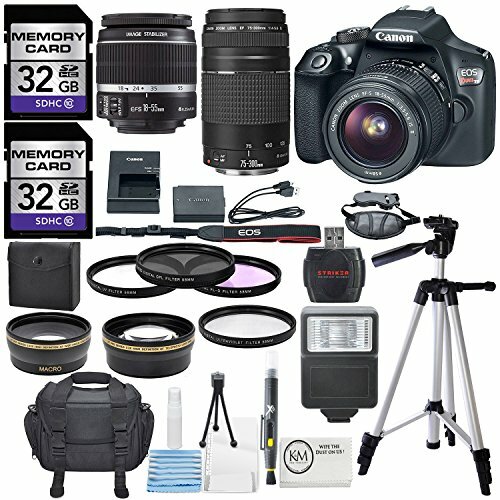 The Canon EOS Rebel T6 Digital SLR Camera with 18-55mm EF-S f/3.5-5.6 IS II Lens + 58mm Wide Angle Lens + 2x Telephoto Lens has all the qualities that you could ever require for filming YouTube videos. From the size of the camera to the video quality, its LCD screen and more, this camera offers exceptional value for money and will have you making great YouTube videos in no time at all. 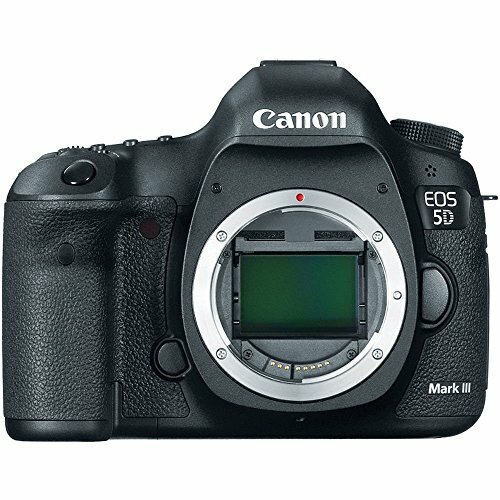 The Canon EOS 5D Mark III 22.3 MP Full Frame CMOS with 1080p Full-HD Video Mode Digital SLR Camera is one of the very best cameras made by the top manufacturer in the business. It comes equipped with all the necessary things to get the most out of your YouTube camera. It's compact, with a sleek design and is state of the art quality. This camera is easy to use thanks to its LCD screen and other features. It's worth spending a little extra money on, especially if you're a seasoned YouTuber. As far as the interface is concerned, the GoPro HERO4 Silver is equipped with a built-in touch display to give you easy control. If you look at the video quality, it comes equipped with a Professional 1080p60 and 720p120. All in all, this camera is a great bang for your buck option. The rundown of the best cameras for YouTube is listed about. If you select any one of the eleven cameras we've mentioned, you'll be in good hands. The quality of the camera and video quality. What features and specs it has on offer. An LCD screen is a real plus. The price of the camera and your budget. 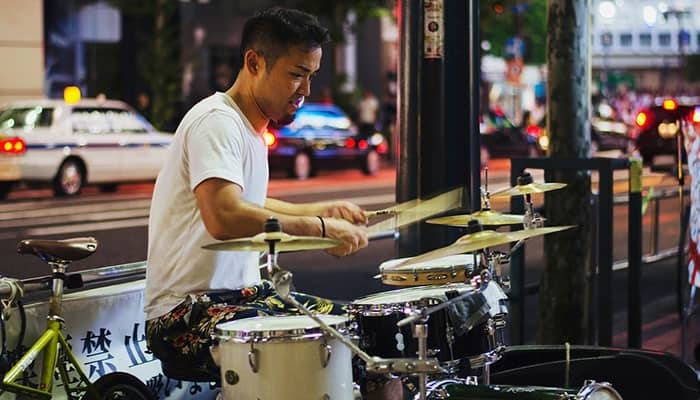 This depends upon the recording environment and situation. You'll need to make a decision yourself by trying out different positions to see what works best for the style of video you're making. These cameras are really easy to work with and you don't need much technical knowledge to make videos. One of the easiest YouTube cameras to use is the GoPro HERO4 Silver. Choosing a camera is influenced by personal taste and your needs. Keep in mind the things to look for when you're out browsing YouTube cameras and you'll be sure to buy the best one for your needs.